Inbound Marketing Helps Your Company Attract Prospects When They Are Ready To Buy. Your Prospects Are Looking For You Online. Can They Find You? Draw customers to you with online content that addresses their specific needs and establishes your company as a trustworthy and credible industry expert. Deliver that content where they are looking. Getting that elusive contact email address is the next step. You need to give your prospects something in return in the form of "content" that interests them and helps to solve their problems. Nurturing these leads to make them customers requires email marketing specific to where they are in your sales funnel. Coupled with a CRM, the process ensures that no leads are lost. Gain insight into the trends that drove marketing in 2018. 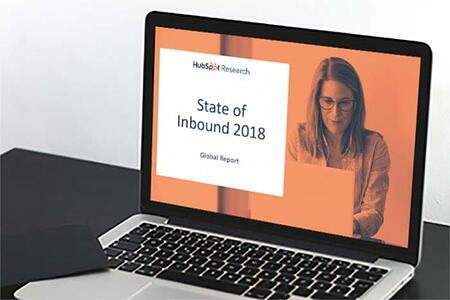 This data will be an important resource as you develop your own inbound strategy. Thomas helps you be in the right place, at the right time, and provide the right information to the right people...most importantly when they are looking for a new vendor. As Thomas Representatives, we help your business be found where your prospects are searching. As Silver Partners, we are adept at the HubSpot methodology and the all-in-one marketing and sales tool. Deliver your content with ease to draw prospects to your website, nurture leads and grow your business. "Acadia’s marketing efforts have proven successful for Composite Advantage. Is Your Company Ready For Inbound Marketing?